Book your place to stay at LMH during the conference. 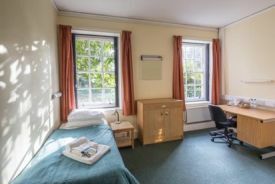 A number of single rooms are available for delegates at LMH. 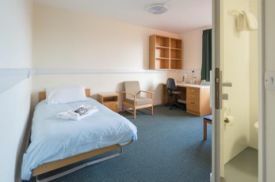 All are ensuite and located on the main LMH site where the conference will be. We recommend these as the most convenient and fun place to stay during the conference! We are delighted to be able to off the rooms at the discounted delegate rate of £67.00 per night. The rooms are available Wednesday through Friday and can be booked through the registration link on this website. There are potentially a small number of twin rooms available. Please contact the conference organising team to discuss booking these. For those considering travelling with children or families we will seek to provide or help find accommodation to suit your needs and be as flexible as possible to help you make the conference.